According to the results from the latest PR Newswire study, press releases that include multimedia assets generate significantly more visibility than text-only releases – up to 9.7 times more. 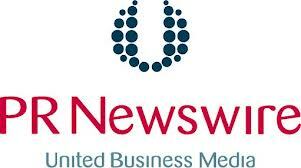 PR Newswire’s web analytics team analyzed thousands of press releases published in 2011 and 2012 to determine the impact that adding photos, videos and other downloadable content has on levels of engagement with press releases. The data shows that simply adding a photo to a text-only press release increases visibility by 1.8 times, while adding a video to a text-only release delivers 4.3 times the number of views. Including both photo and video content further enhances a story, driving visibility by 7.4 times more than plain text releases. The web analytics team at PR Newswire also compared releases with additional layers of assets including downloadable files such as PPTs, PDFs, and DOCs along with photos and videos. Although the number of such stories was fewer than those with just photos and videos, they received even more visibility and interaction, representing the potential for releases with photos, videos and downloadable files to drive up to 9.7 times more visibility over text-only releases.